Ask any Queens fan if they would`ve taken a point before today`s game at Tannadice and they wouldn`t have any complaints. 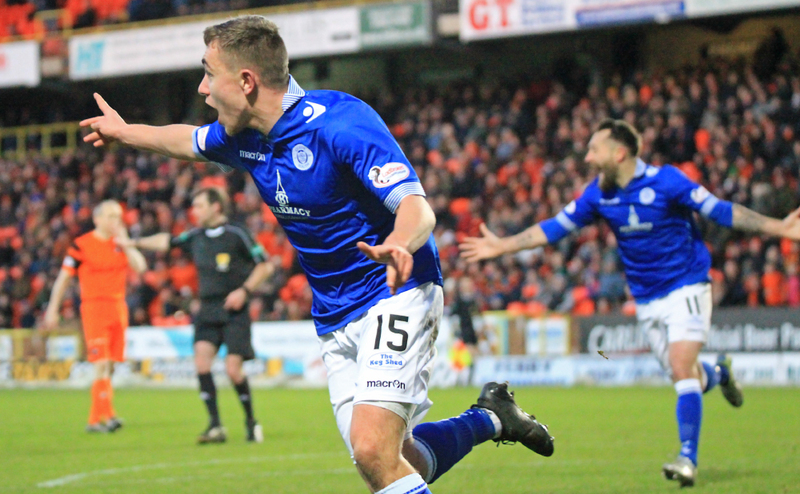 But the 238 Queens supporters making their way back home tonight will be thinking it could`ve been an extra two points that returned to Palmerston. 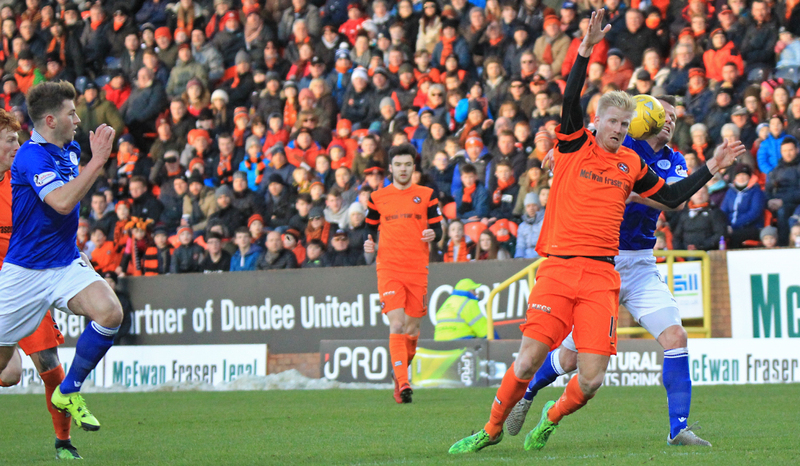 Gary Naysmith`s side went behind inside four minutes through Simon Murray. 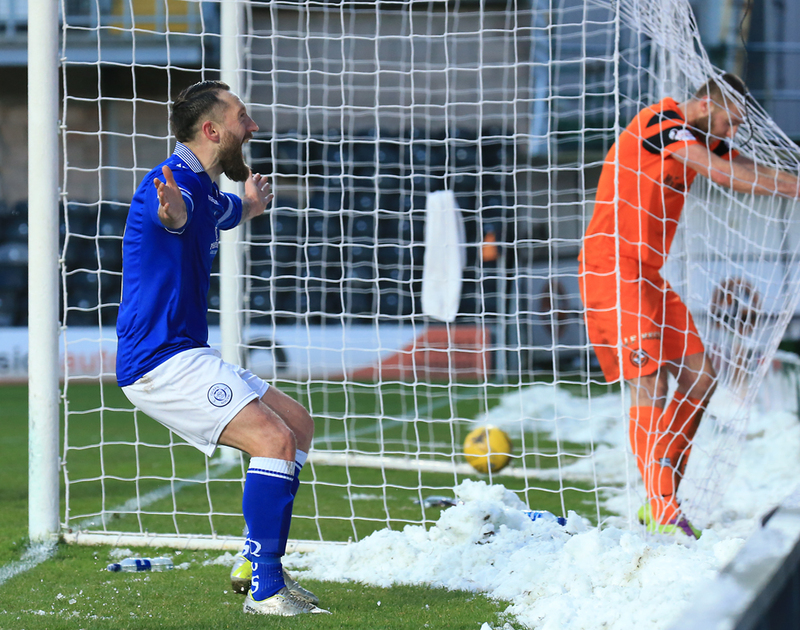 Stephen Dobbie levelled the tie on the half hour mark and turned provider, setting up Joe Thomson to give the Doonhamers the lead. A Dom Thomas rocket in the second half extended Queens` lead but the hosts fought back and late goals from Scott Fraser and Simon Murray made sure the Terrors earned a share of the spoils. 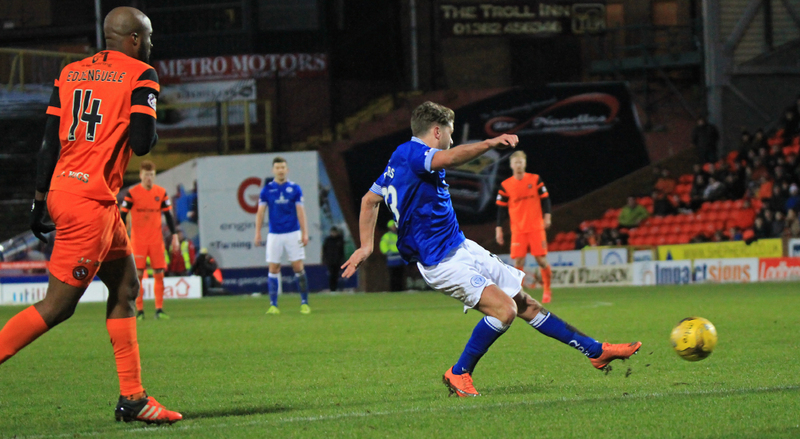 The Doonhamers made one change for last week`s 3-0 victory against St Mirren. New signing Scott Mercer was handed a debut start following his move from League One outfit East Fife this past week. 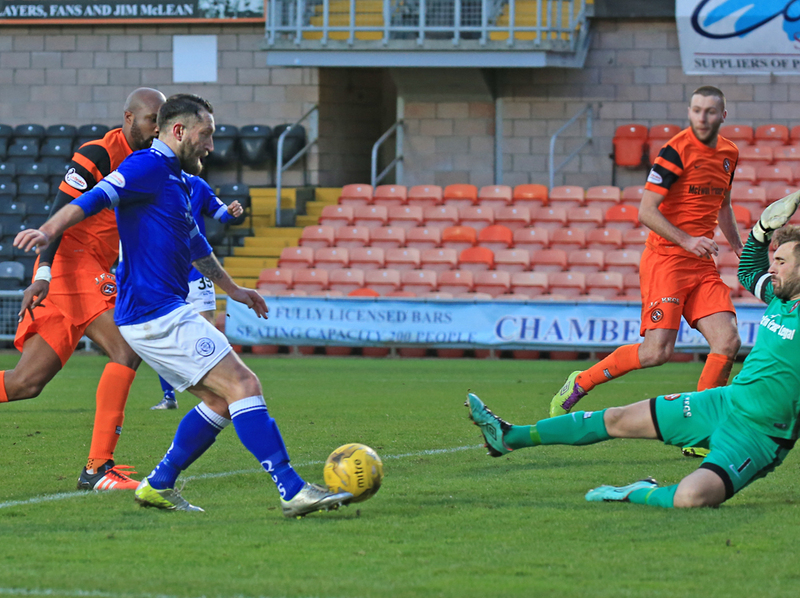 Jamie Hamill dropped to a healthier looking substitute`s bench, with Derek Lyle, Chris Higgins and Lyndon Dykes all at the disposal for the visitors. Ex-Queens goalkeeper Cammy Bell captained the Terrors and centre back Mark Durnan started against his former employers. On-loan striker Thomas Mikkelsen started his first match for United. There was a slight doubt the match would go ahead after Dundee United announced a precautionary pitch inspection was to be held before midday at Tannadice. To the relief of the travelling Doonhamers the game went ahead but four minutes into the encounter they might have wished the game did in fact get called off. It was a shaky start from the Doonhamers and were behind inside four minutes when Scott Fraser`s through ball fed striker Simon Murray. The forward wrong-footed Darren Brownlie on the edge of the box and lifted the ball past Lee Robinson. 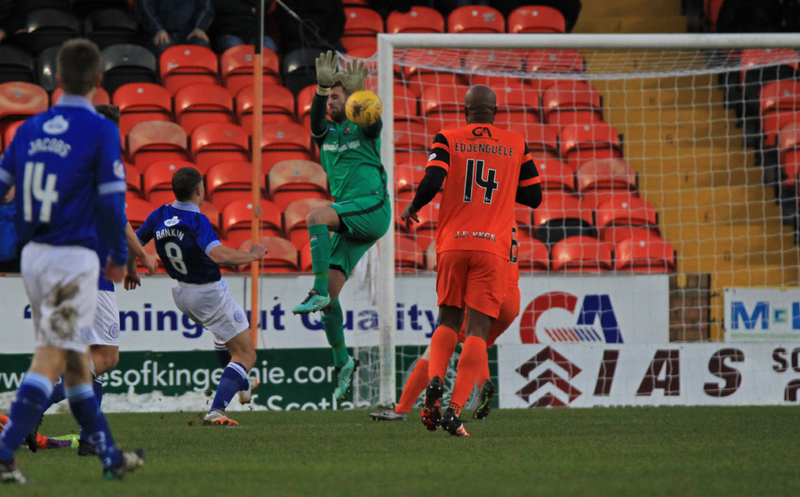 This was the first goal Queens had conceded since their Christmas Eve defeat to Morton. Ray McKinnon`s men continued to threaten and thought they should have had a penalty kick on 11 minutes when Andy Dowie challenged Thomas Mikkelsen on the edge of the box. Referee Alan Muir waved away the United protests. Queens could`ve grabbbed an equaliser moments later when United right-back Lewis Toshney`s slack header back to his keeper was short and charged down by former United midfielder John Rankin, but Cammy Bell spared the defenders blushes with a super save from Rankin`s lob. The balance of the game was changing and it looked as if Queens had weathered the United storm as they got back on level terms on 28 minutes. 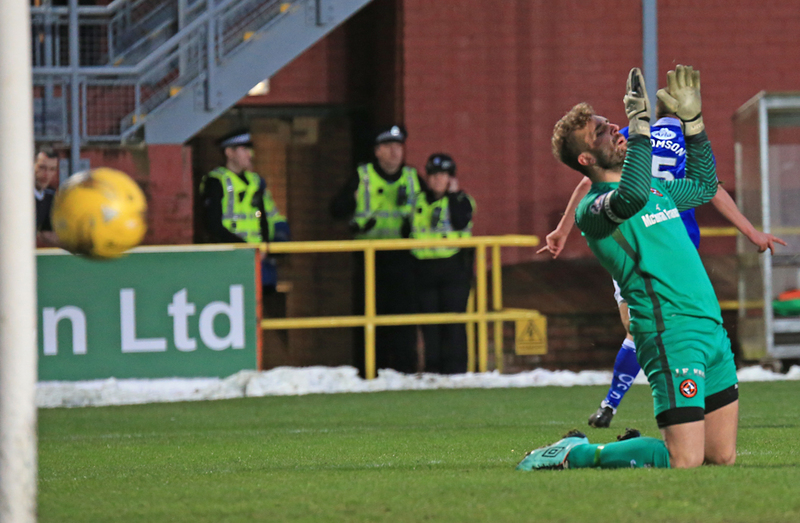 Jordan Marshall`s delivery from the left was met by Dan Carmichael, who touched the ball to Stephen Dobbie at the back post, and he slotted the ball over the advancing Bell to the delight of the travelling support. 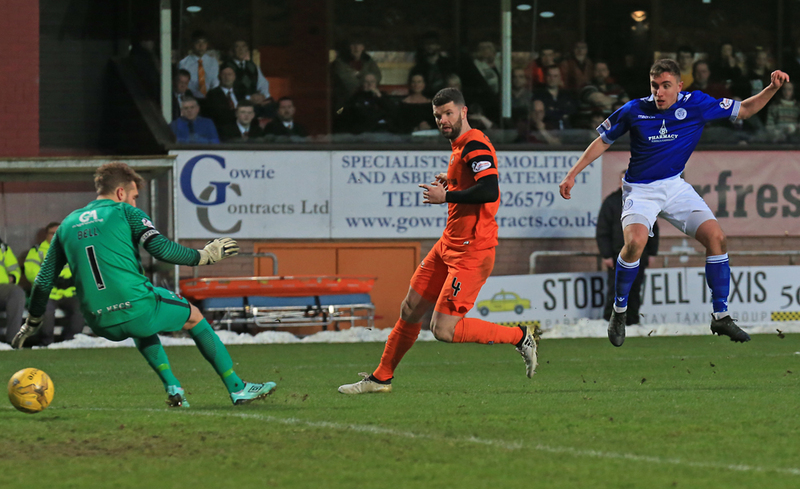 It was Dobbie`s 18th goal of the season since his return, already an amazing return by the former Blackpool striker. The equaliser gave the visitors confidence and were knocking the ball around beautifully but just lacked the final pass to create another opening. But it was the hosts who had two chances to go in at the break ahead. Lee Robinson had to produce a superb save to deny Murray his second of the afternoon when his curling shot looked as if it was going in the far corner but the keeper got his fingertips to it and turned it wide for a corner. 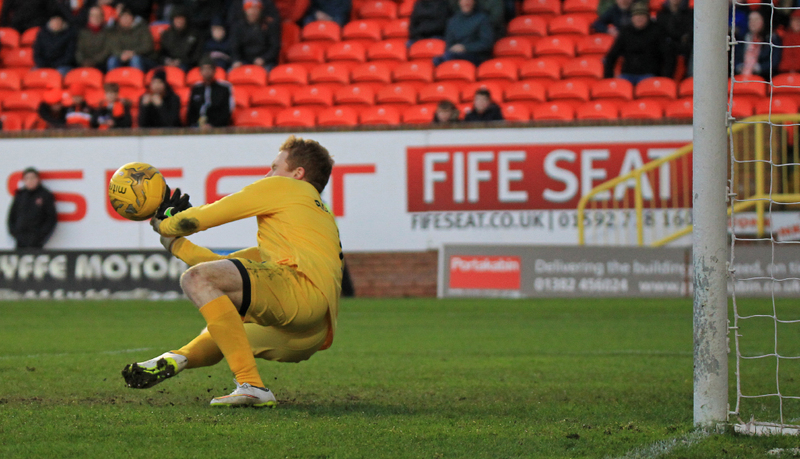 Robinson was called into action again, this time a more routine save from Tony Andreu`s effort. The hosts started the second period on the front foot but wasted a glorious chance to pull ahead when after an intelligent ball from Andreu, Mikkelsen`s header glanced wide of Robinson`s goal. McKinnon`s men were made to pay for their missed opportunity on 52 when the visitors shocked the majority of the 6136 inside Tannadice. Dobbie turned provider when he latched onto a ball from midfield and sent a through ball to Joe Thomson. The on-loan Celtic midfielder held of Mark Durnan as he made it two goals in two games for his new club, as his strike went through Bell`s legs into the net. The Tangerines nearly drew the game level moments later but a shot from Mikkelsen dragged wide just before the hour mark. United made their first change of the afternoon, when Tony Andreu was replaced by Tope Obadeyi. But the changes couldn`t stop the visitors having another attempt on goal when Dobbie created space just outside the box and let loose a left foot strike but drifted wide. Queens finally got their reward a minute later when Dom Thomas produced a goal of the season contender with a powerful drive from just outside the penalty area which gave Bell no chance. It wasn`t a great afternoon for United new boy Thomas Mikkelsen, with plenty of missed chances, he was brought off and replaced by Blair Spittal. The substitution proved to be a successful one when United reduced the deficit on 77 minutes. A Blair Spittal cross was kept in by Toshney and half-cleared by a Marshall. But the left-back`s header only went as far as Fraser and he confidently drilled a shot into the ground and into the net. 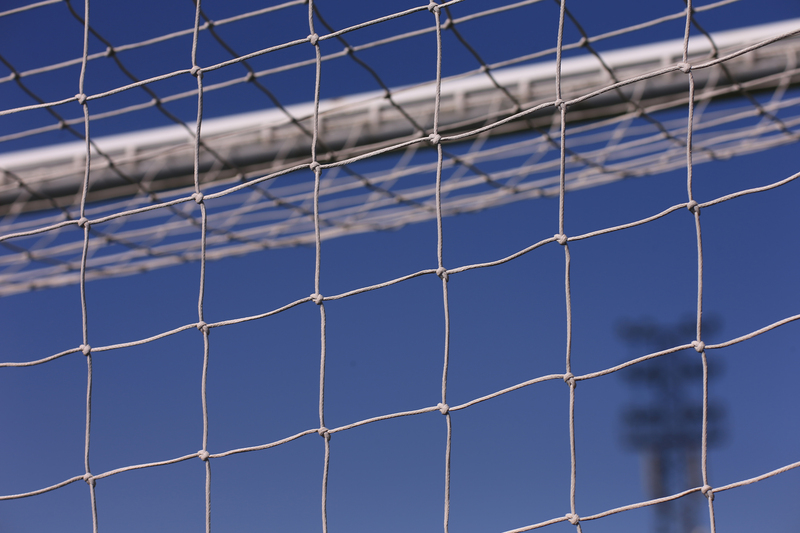 Queens gaffer Gary Naysmith made two changes in the dying moments. 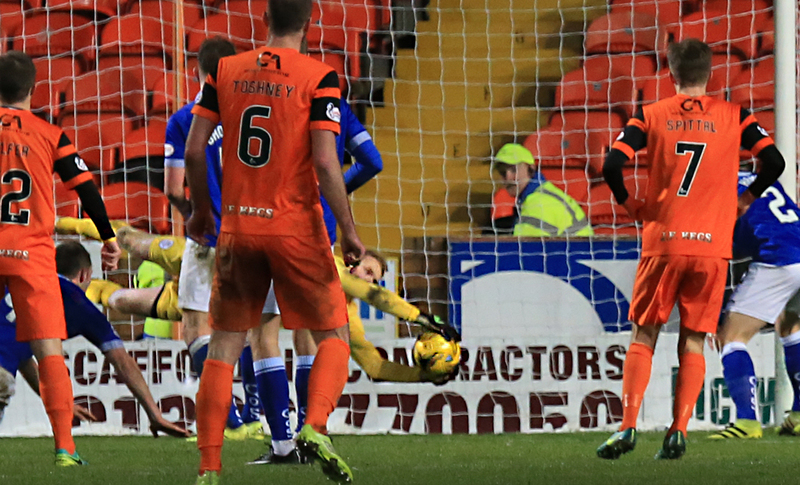 Lyndon Dykes replaced lively Dan Carmichael and Jamie Hamill replaced Stephen Dobbie to try and shut-up shop. But the changed momentum of the game took its toll on the visitors with one minute left. A drilled cross from Obedayi from the left-hand side was tapped home by Murray for his second of the game. United then had a chance in stoppage time to complete an astonishing comeback but Durnan couldn`t haunt his former employers again as his header was caught by the full stretch Robinson. 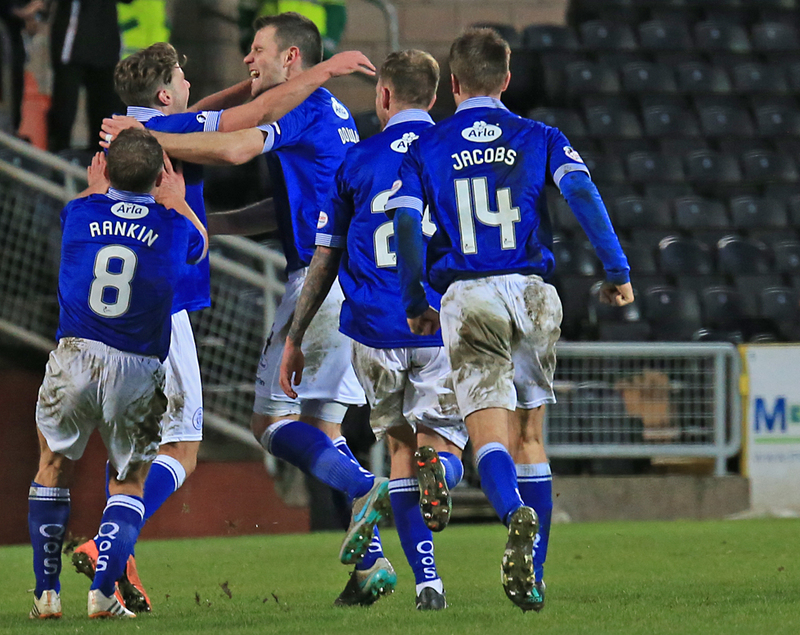 Well, what a fantastic football match and a great advert for the Championship. Gary Naymsith has done some fine business this transfer window, with all the new signings impressing once more. 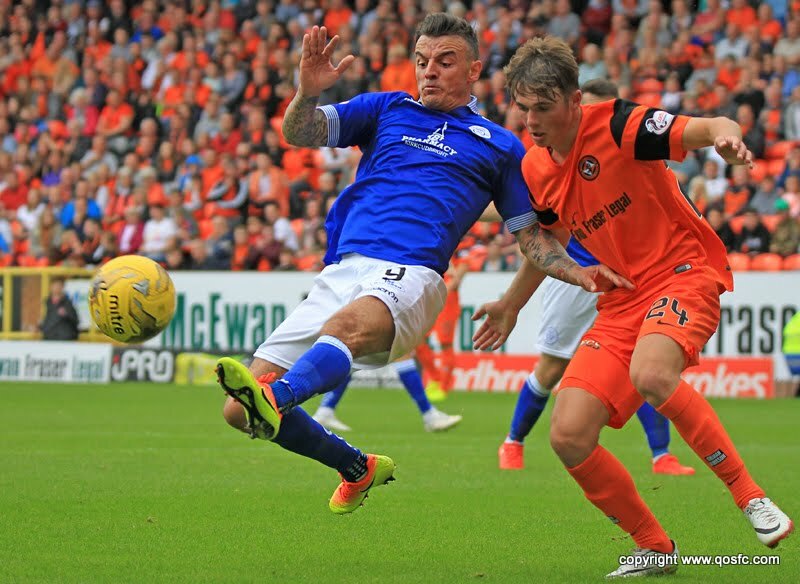 They`ll be some negative thoughts about letting a two-goal lead slip but the energy in the side, which had been lacking a few weeks ago, has returned and Queens supporters will hope it continues for our next match away to Dumbarton next week at The Rock. 14:14 One change for the Doonhamers today new signing Scott Mercer starts in place of Jamie Hamill, who takes a place on the bench. 14:17 Dundee United; Bell (c), Dixon, Durnan, Toshney, Murdoch, Murray, Fraser, Edjenguele, Flood, Mikkelsen, Andreu. 14:17 Dundee United; Bell, Dixon, Durnan, Toshney, Murdoch, Murray, Fraser, Edjenguele, Flood, Mikkelsen, Andreu. 4 min Fraser plays a through ball to Murray, outsmarts Brownlie, and lifts the ball into the back of the net. 12 min Rankin`s shot is saved by Bell. 22 min Thomson`s delivery from the left is comfortably caught by Bell. 28 min Marshall`s set-piece finds Dobbie and he slots home to level the score. 38 min Robinson makes a superb save to deny United of their second. 52 min Dobbie plays in Thomson and he slots Queens into the lead. 58 min Mikkelsen`s shot flashes wide. Still 2-1 Queens here. 63 min Dobbie`s shot drags wide of the target. 64 min Thomas lets loose from 20-yards and it goes straight into the top corner.What a strike. 76 min Fraser`s shot from 8-yards out halves Doonhamers` advantage. 86 min The hosts are pressuring the Queens defence in the dying stages but the Doonhamers are hanging on. 88 min Murray taps the ball home from a Obadeyi cross. Last minute heartbreak for Queens. 89 min Edjenguele`s header flies over the bar. 90+1 min Thomas wins the ball crosses to Rankin but he blasts his strike over the bar.